Today my writing session took me down memory lane of working on the family farm with Dad. I loved doing farm work with Dad, I think that this is one of the best times in my life as an 12-15 year old doing fencing and sheep work together. 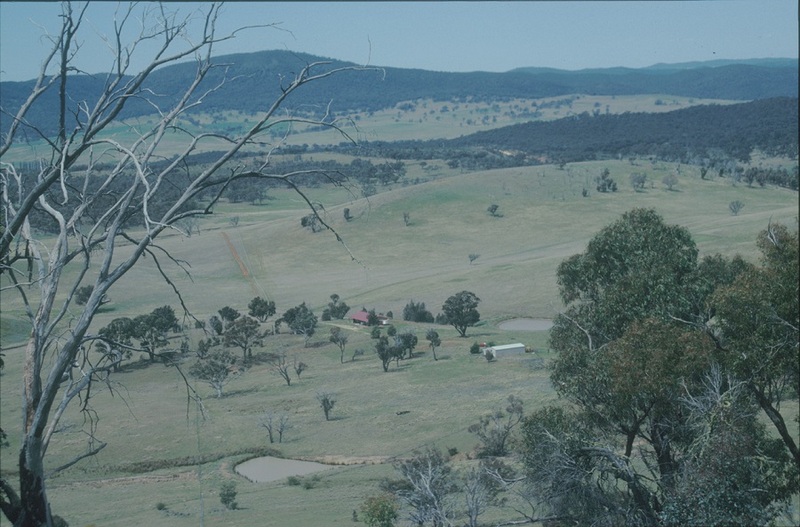 To me Col-lee was a great farm but oh so harsh on the Monaro Plains in serrated tussock country. But it was great because of the memories of our family time. I liked that it was large enough that it took a while to get to the other side of the place and it had hills some small and some steep. It had trees, fossils, quartz and the occasional poppy. It gave me a love of the landscape. It was peaceful as long as my brother wasn't on his motorbike. 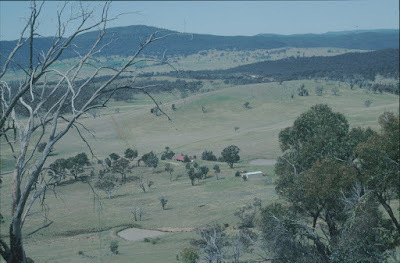 See below for a photo, not everything was our place, mostly the land in the foreground, dams, house and shed. This was my husband's first view from our hill looking out over the property.